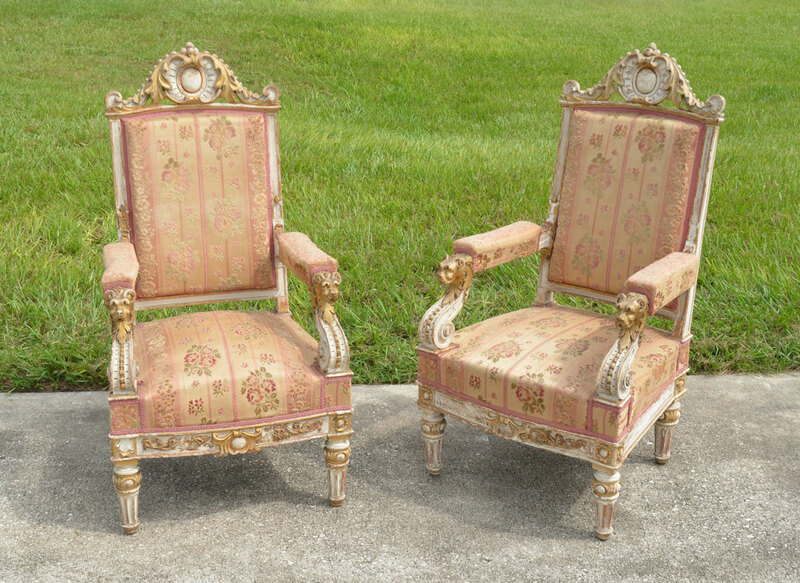 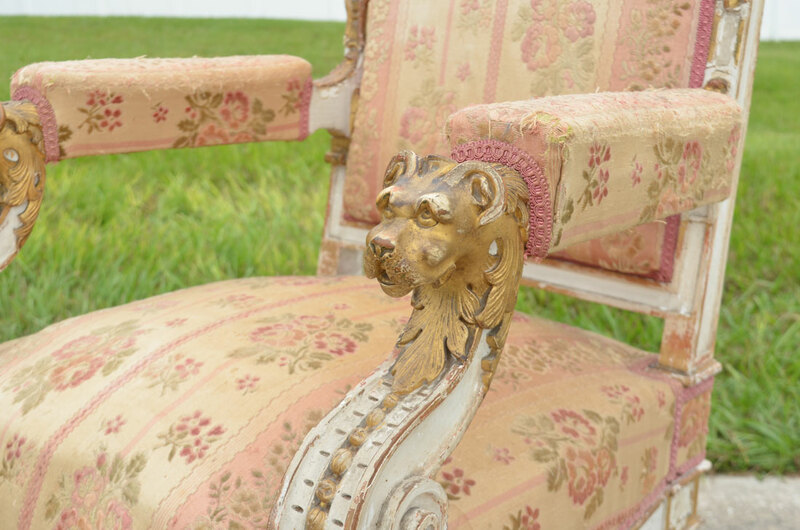 PAIR CONTINENTAL RENAISSANCE REVIVAL ARM CHAIRS: Profusely carved and paint decorated overall, crest with center medallion and foliate scroll motif, figural lion head hand holds, scroll arm supports, shaped skirt with foliate scroll, fluted legs. 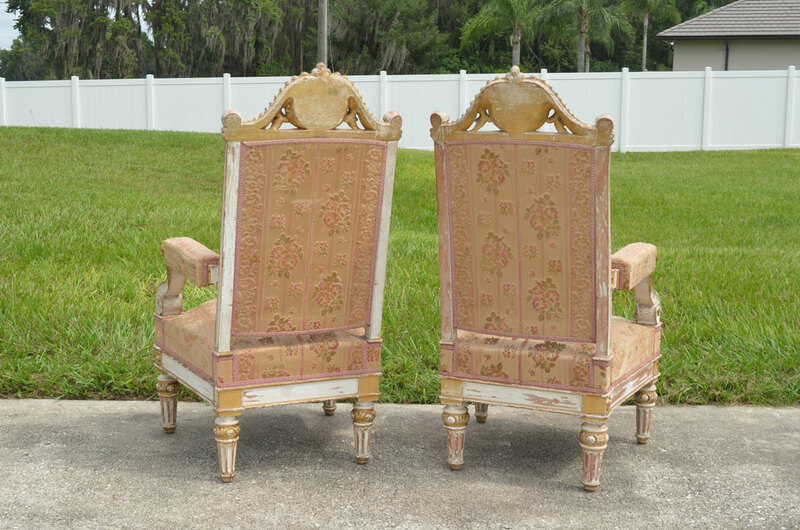 Floral patterned upholstery, overall measures 46 1/2'' h. x 25 1/2'' x 30''. 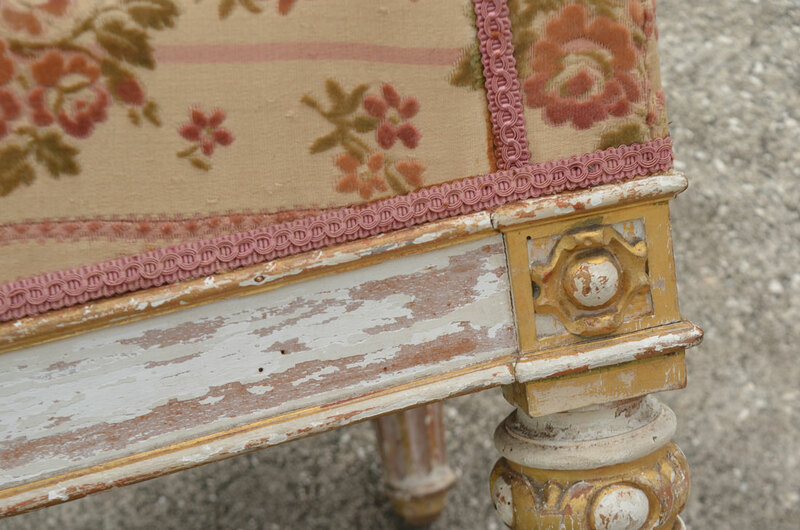 CONDITION: Flaking and loss to paint, fabric shows wear, structurally sound.